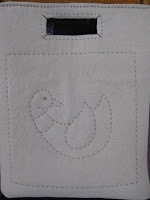 The quilt fairy then whispered three words: Make A Tote! And so it is that I made a wool tote. 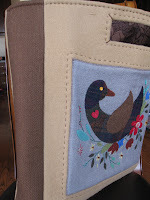 It stands on its own (I did not put anything inside it for the pictures), it is lightweight, hand finished. I added I couple of 'bees' (buttons - seen on top right of the applique block), used DMC floss to hand quilt it, and fashioned the lining from a brown, floral fabric. The tote measures 17" high by 14" wide. 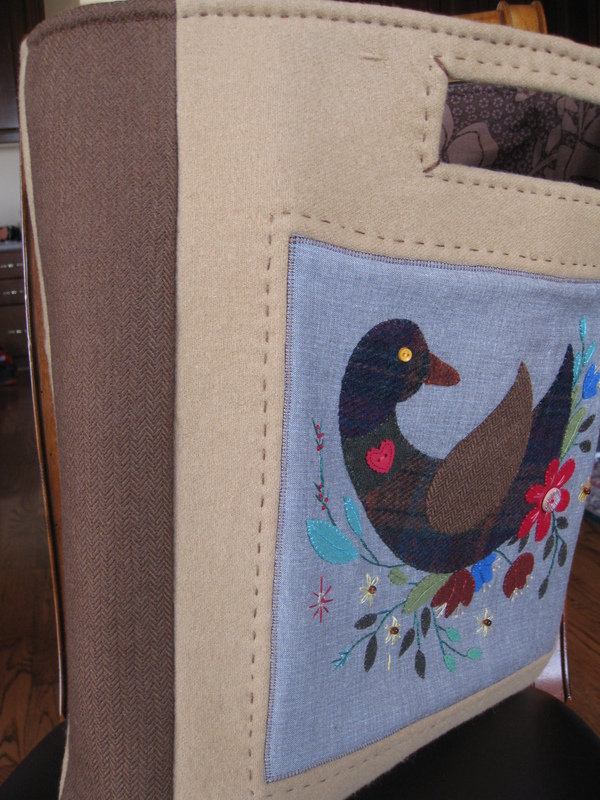 Good size for books, for carrying crafts, or to go shopping. The gray background has browns and rust undertones, thus the beige and brown wool choice. 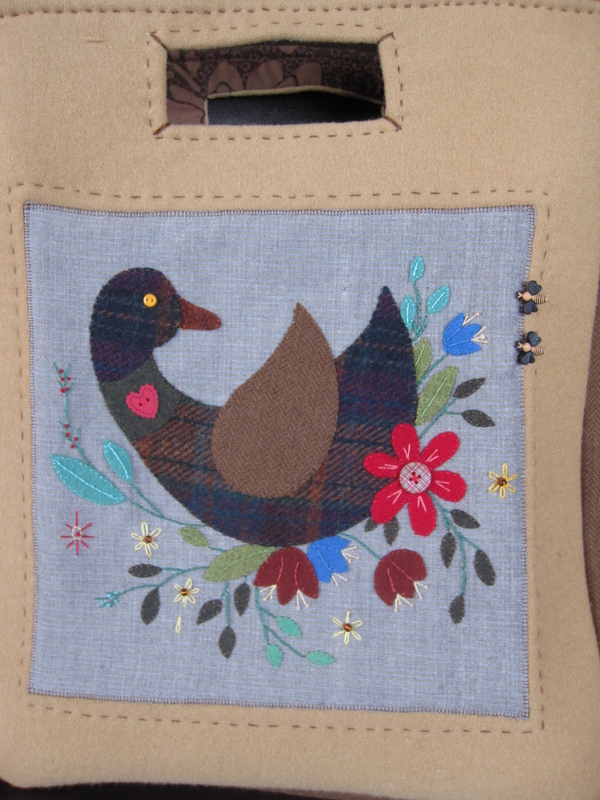 The sides and bottom of the tote showcase the same wool as the duck's wing - brown herringbone. I outlined the duck motif on the back side of the tote so it would not be plain beige wool (picture at right). My boys loved it! When I mentioned I was thinking of putting it on my Etsy shop, they said "Noooooo"! 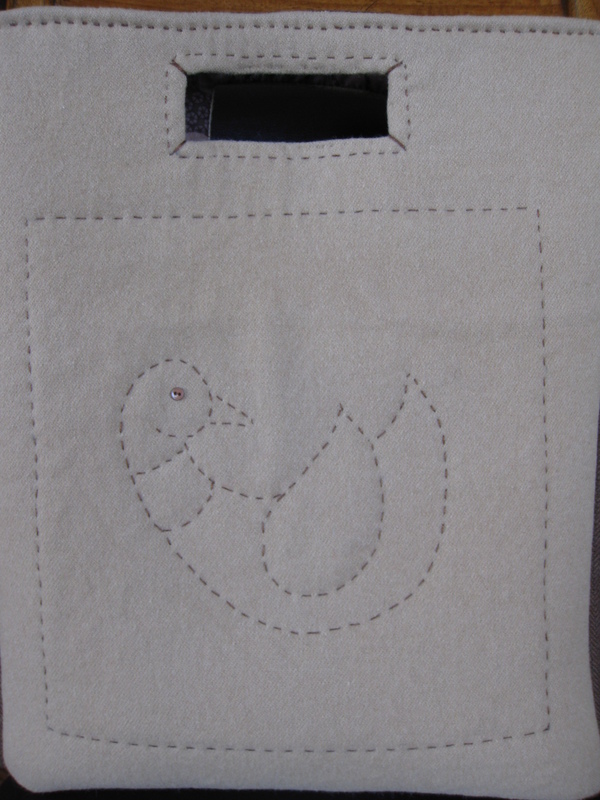 I am likely to turn the other three blocks into totes, also. How wide is your cute tote?